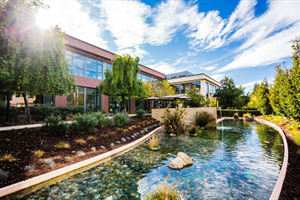 More than 1,600 people choose to innovate and grow each day in our award-winning Palo Alto headquarters. Stretching across more than 100 acres of tree-shaded hills in Stanford Research Park, our “campus in a forest” is made up of three unique neighborhoods. Each is named after a prominent ecological feature of its location: Promontory, Hilltop, and Creekside. Numerous walking paths and trails let you explore more than 3,000 tree varieties, including a fruit orchard and palm oasis. Designed with your well-being in mind, our campus buildings feature natural daylight, operable windows, energy-efficient lighting and mechanisms, free healthy snacks and drinks, open and modern workspaces, and safe and healthy building materials. 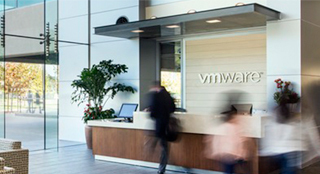 Our three on-site cafes, state-of-the-art fitness center and outdoor grass sports fields, OASIS Tech Walk-up Bar Service, and commuting benefits (which include subsidized transit fares, shuttle services, electric vehicle charging stations, carpooling, vanpooling, and biking amenities) are just a few of the benefits that help make VMware Palo Alto a thriving workplace community.